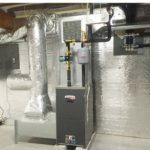 Pre-Season Heating Maintenance | GSK Climate Control, Inc.
Pre-Season Maintenance on your heating equipment is essential to ensuring your family and building stays warm and safe this winter! With the large majority of New England homes utilizing gas or oil heating systems the threat of Carbon Monoxide poisoning from the combustion of these appliances is a real issue that can threaten your, your family’s, or building occupants lives! An estimated 500 people die each year and another 1500 are taken to emergency rooms for CO exposure – a lethal bi-product of improper combustion which is colorless, tasteless, and odorless. By scheduling Preventative Maintenance on your home or building’s heating equipment you can save the time and money involved with a no heat crisis in the dead of New England winter. 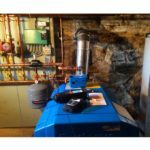 Annual maintenance keeps your systems’ warranty valid, ensures proper and safe operation, optimal efficiency (a system that isn’t operating properly will consume more energy and even more fuel), and prolongs the life of your furnace or boiler – an expensive investment that you should want to protect! 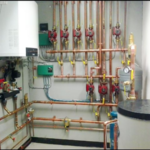 “Boiler maintenance or lack thereof, is the leading cause of boiler failures”, says PM Engineer columnist Ray Wohlfarth. The same is true for your furnace. 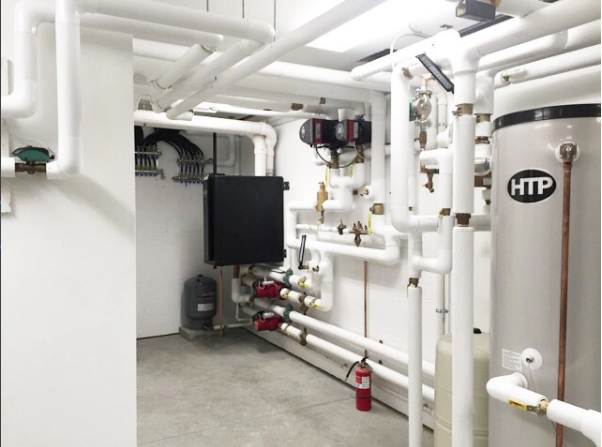 According to the Department of Energy, 25-40% of the energy consumed by heating and cooling systems is virtually wasted due to various contaminants and debris built up in your system over time, hindering it’s normal operation and functioning. Annual maintenance includes technicians thoroughly inspecting system heat exchangers and flue pipes, which if cracked or pitted could result in carbon monoxide leaking into the home – a potentially deadly situiation. It also includes an inspection of the burner’s flame characteristics, all safety components, and a combustion analysis with a special analyzer instrument which measures the fuel-to-air ratio which if not properly set, could also lead to excess carbon monoxide. 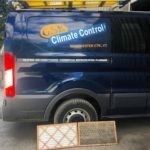 An easy and inexpensive step, as a homeowner, to help prolong the life and ensure problem-free operation of your heating system is to inspect and change your air filters in your warm-air furnace monthly during the heating season! If you’re not sure where that is, be sure to ask your technician for a brief overview during his annual maintenance visit. A clean air filter is white (unless it’s a carbon filter) and shows no signs of dirt, dander, pollen, mold, etc. If you take the filter out of the system and cannot see your hand through the other side of the filter or it just generally looks dirty or clogged, that’s a good indicator it needs to be changed, ASAP! Dirty or plugged up air filters will cause your system’s blower to work harder, consuming more energy, and making your heating system’s components work harder than their designed to do. This could potentially result in failed or burnt-out motors and system shut-downs due to tripped safety components. Remember, a dirty filter is continuously circulating all that dirt, dust, and dander throughout your home as the system is operating ☹️. Changing your filter frequently is an easy, inexpensive, and effective way to safeguard your home or building’s indoor air quality in addition to improving your system’s operation. Tightening electrical connections – as systems operate it’s common for electrical connections to loosen, a dangerous situation which can pose a fire hazard in extreme cases. 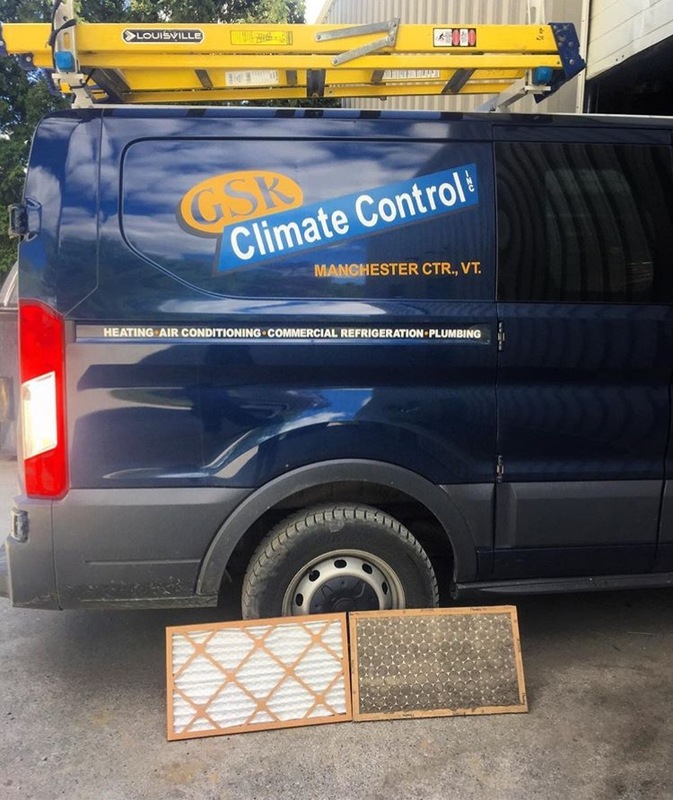 In less extreme cases it can result in a service call due to tripped or shorted components preventing your heating or cooling system from operating. Lubricating Moving Parts – lack of lubrication on specific parts can cause increased friction. A condition that could result in overheating or break-down, requiring component replacement. Compressor motors are typically the most expensive parts of a unit! When motors go it’s often times more economical to replace the entire unit. This can be prevented! Inspect Condensate Drains – A/C equipment and condensing furnaces produce slightly acidic condensate which will normally collect in a drain pan or pump where it will enter into a floor drain or outdoors. Condensate lines can easily form algae/ sludge that can cause blockages in the drain line, leading to an overflow condition. This could result in damaged equipment, floors, furnishings, or ceilings. A maintenance tech will check for the proper operation of your condensate drains and pumps and clean out any slime to prevent blockages, if necessary. 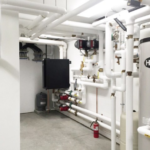 Clean/Inspect Heat Exchangers – Both boilers and furnaces have heat exchanger tubes or coils which effectively heat the air or water supplying your home. These are essential components of any heating system that can collect massive amounts of carbon and soot due to combustion. A layer of dust merely two one-thousandths of an inch thick, on a heat transfer surface, such as your indoor unit’s evaporator coil, the outdoor condenser coil, or even the heat exchanger in your furnace, reduces heat transfer efficiency by as much as 10%! Older or ill-maintained appliances will have rusted/corroded heat exchangers which often times crack, leaving home or building owners directly exposed to carbon monoxide leaking through the normally enclosed heat exchanger and into your home. If your heat exchanger is found to have a crack it will need replacement before your heating system can safely and effectively operate. 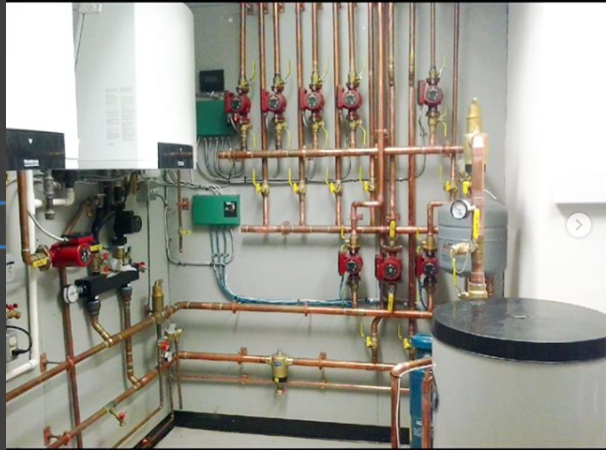 Analyze Gas Pressure & Burner Combustion – Each heating appliance is manufactured to operate at a specific gas pressure that varies with the type and style of equipment. This pressure is determined through factory testing and directly affects the efficiency of your unit! If your gas pressure is too high or too low, your heating efficiency will suffer- resulting in increased gas and energy costs, or even a service call due to comfort issues. 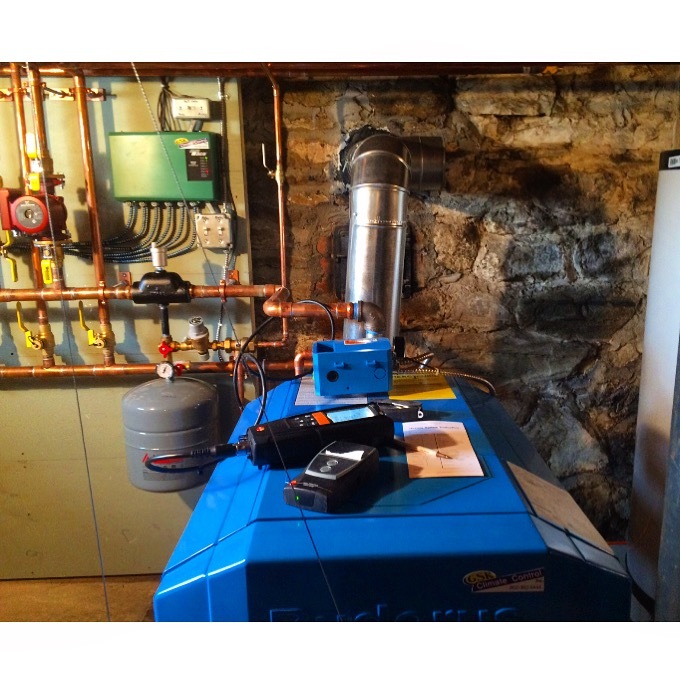 Burner combustion is also a very important factor in the efficiency and operation of your heating system. Incomplete combustion due to misaligned burners, or incorrect gas pressure can result in excess carbon monoxide. Specific ratios of oxygen, carbon dioxide, and carbon monoxide must be determined in order for you system to operate safely and effectively! Clean Evaporator & Condenser Coils – If you have a heat pump system, or an A/C-capable furnace or packaged unit, the cleanliness of your system’s evaporator and condenser coils will directly impact your systems efficiency and performance. If you have a commercial kitchen DO NOT SKIP THIS STEP! These are you heat transfer coils, which make the cooling and heating happen- much like a heat exchanger does for a furnace or boiler! Condenser coils are almost always located outdoors where they’re subject to every contaminant in the outdoor environment. If you have a packaged HVAC unit both your evaporator and your condenser are outside. Evaporator coils indoors will also collect dirt, dust, mildew, etc. from normal operation as the air in your space and all the particulates that come with it, pass through this coil to effectively condition your home or building. Coils should be cleaned biannually with a non-corrosive, specially formulated foam or liquid. If this does not happen, your coils will undoubtedly become so filthy they will start to impact the operation of your system by overheating motors due to the high pressures created from a plugged heat transfer coil and lower the operating performance of your unit – potentially creating a comfort-complaint service call. For a refrigeration system this could result in spoiled product due to your box temperature being too low/high, because your heat transfer coils are plugged and cannot operate as designed!